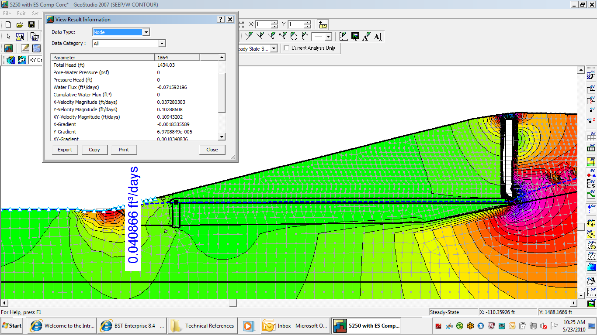 Slope Stability, Part 3: A Little Help? 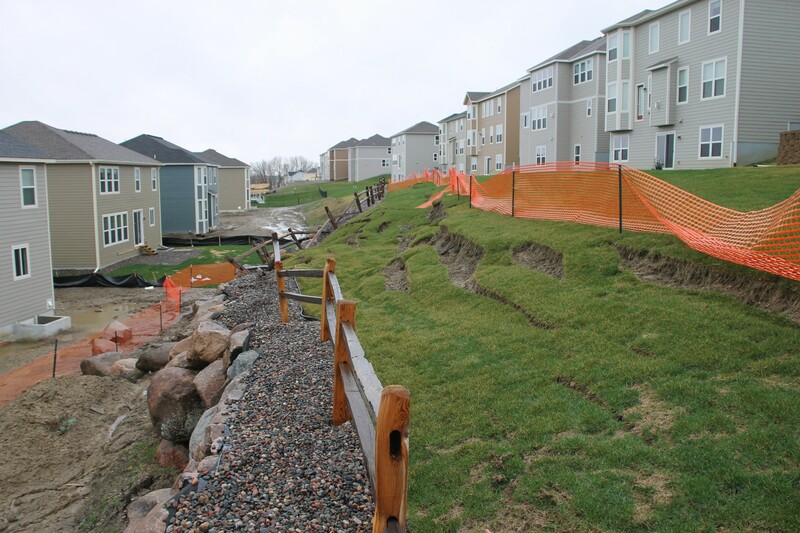 Now that you have read Part 1 and Part 2 of our slope stability series, you should have a general understanding of what “slope stability” is all about and how you can plan to avoid or respond to a slope failure. In this third part of our series, let’s go over the elements of a geotechnical evaluation geared toward slope failure assessment and mitigation. First, find a geotechnical consultant who can offer perspective in addition to services. How significant is the risk? What’s important to evaluate? What’s not? What are my options? Second, see that the scope of your geotechnical evaluation contains, at a minimum, provisions for a site reconnaissance, exploration and necessary instrumentation, material testing, engineering analyses, and qualification of your options for design and construction (with recommendations for implementation). A reconnaissance is key to understanding risks and developing sound exploration and instrumentation, testing and analytical programs. Topography, vegetation, drainage, and evidence of failure help reveal something about failure drivers, mechanism and associated vulnerable materials. Exploration is needed to allow the geotechnical consultant to understand and evaluate geometric, geologic and structural relationships in three-dimensions (breadth and width being visually determined, depth remaining the unknown), and select critical cross sections for analysis. If a slope failure has occurred or is suspected, boreholes are often instrumented with casings whose deflection over time can be measured to locate the depth and orientation of movement. Instrumentation is one item that can be overlooked or discounted due to the time required to detect movement or cost, but unless you measure it, how do you really know what the limits of movement are? The geologic materials that comprise the site/slope must also be tested to determine their physical properties, including strength, which are needed to compute factors of safety against failure, determine allowable slope gradients, size structural reinforcing elements and more with confidence. 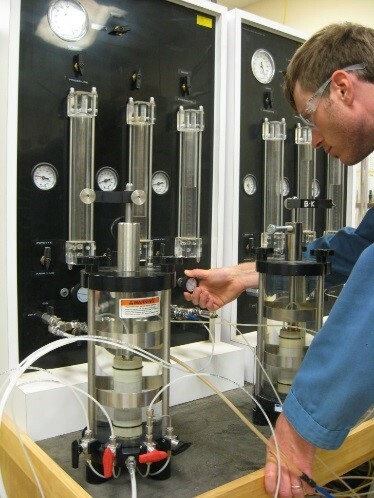 Material testing is the most often discounted element of a geotechnical evaluation. Consider instead the impact of a thousand-dollar testing program when a slope repair, or the consequences of failure, are measured in the hundred thousand dollar range. Analyses are required to demonstrate the geotechnical engineer’s interpretation of site conditions, qualify the project or repair technically, and provide a means not only of developing recommendations for design and construction (or reconstruction), but also for pricing the options. Sometimes the engineer needs to analyze the existing condition as well to get a baseline from which the impact of proposed development (or stabilization) can be weighed. The results of the reconnaissance, exploration, instrumentation, testing and analytical programs are combined to qualify the options and develop a plan to move the site/project to safer ground. If your geotechnical consultant is experienced, they will be able to help you pursue a preferred option based on a balance of risk and cost, and also serve as a liaison to prospective earthwork and other specialty contractors. The geotechnical engineer will also need to observe and possibly prescribe tests during construction. Finally, don’t assume you need to complete all these tasks in one lump sum. 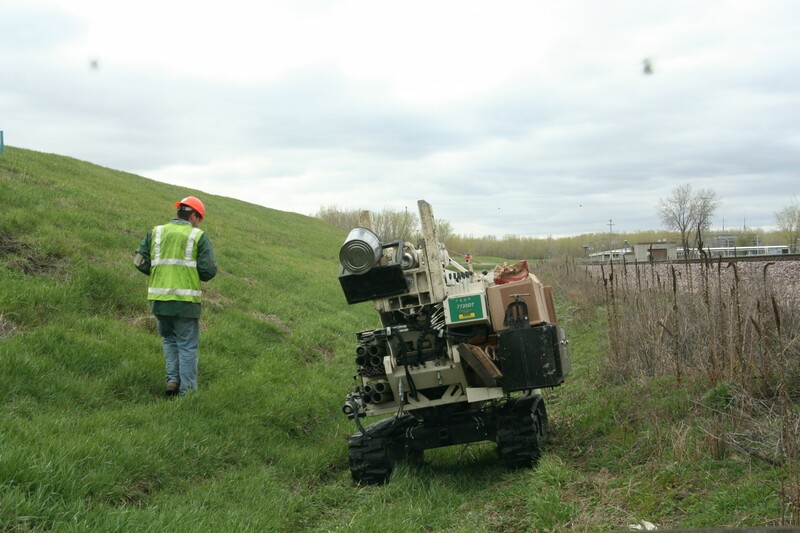 Until a reconnaissance is completed, the geotechnical engineer may not know where explorations or instruments should be located, whether there is access to them, and how much that effort will ultimately cost. Similarly, until the results of an instrumentation or material testing program are available, the engineer may not know how complicated a design or repair scheme may be. So, proceed smartly, incrementally – slope stability evaluations aren’t cheap, but your dollars can at least be targeted to obtain the best bang for the buck. An experienced geotechnical engineer will evaluate rock slopes, natural and reinforced soil slopes, cantilever and mechanically stabilized earth retaining structures, open-cut and retained excavations, slope and wall failures, levees and dams, and channel/shoreline structures. They can design new as well as evaluate existing (and failed) structures. They also assist in the preparation and review of plans and specifications, and provide sections and details for inclusion into the plans. We are also involved in proactive hazard protection planning, working with municipalities to identify local geologic hazards such as historic failure types and limits, and severe foundation conditions, and have created feasibility maps for safely siting future flood protection structures. Such sites have then been revisited and analyzed more rigorously at the time plans for development are prepared. Braun Intertec has a team dedicated to the evaluation and mitigation of geologic hazards. We can thus balance the influx of projects, respond consistently and re-prioritize to help our clients deal with time constraints. The ability to identify and investigate the mechanisms that govern structure performance is an important skill to have, and is one of our top priorities. For us, the identification and understanding of performance mechanisms is the key to developing sound analytical models and evaluating/weighing the impact of the many geotechnical factors that can contribute to unfavorable structure performance. Those skills also help us identify appropriate mitigation alternatives. We have many services and equipment available to provide for our client’s needs. If you’d like more information on our slope stability services, or would just like to learn more about slope stability (we also believe in education and empowerment! ), call Charles Hubbard at 612.221.2501 or email chubbard@braunintertec.com.